This is the liniment of choice for bone fracture. Gauze, cotton balls or cloth soaked in the liquid, and applied directly to the fracture for thirty minutes up to two hours. In China, TCM doctors reset the bones every three days, following with wraps soaked in Zheng Gu Shui (or a formula like it) before applying splints. As a trauma liniment, it is applicable for other acute injuries marked by swelling or pain. 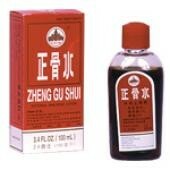 Also useful as massage liniment before or after exercise. Can be added to bath water." 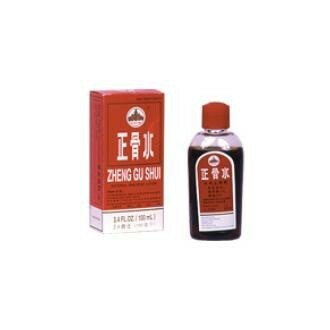 - From Fratkin - Chinese Herbal Patent Medicines.